Are Tiny Houses The Next Big Move Toward Sustainable Living? Tiny homes can bring affordable, sustainable housing to the masses. But are they a practical option or just a temporary trend? The tiny house movement is a vital part of teaching people how to live sustainably. There's a documentary and a book series. There are even multiple TV shows. Clearly, the tiny house movement is a popular trend among homeowners who want to simplify their lives and reduce their environmental impact. But are tiny houses a practical way to bring sustainable living to masses — or are they part of a fringe movement for extreme DIYers who don't mind sacrificing space for affordability? Believe it or not, there’s a difference between a tiny house and a small house. 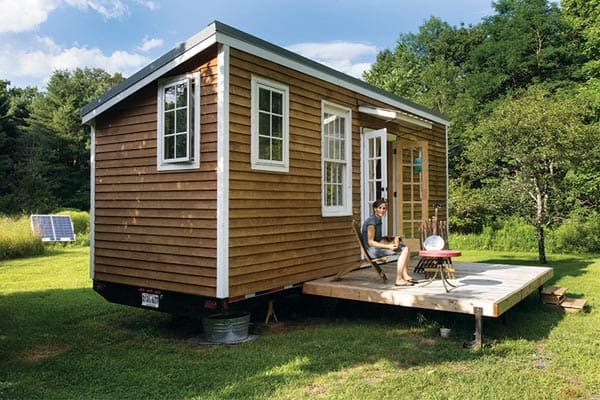 A tiny house is a very minimal living space that is typically built on wheels. Its size and mobility is intentional: building codes in most US municipalities require habitable structures to include heat, cooling, running water, and a minimum square footage of 300-plus feet. To bypass the property taxes that go along with with larger "habitable structures," tiny homes are typically kept under 250 square feet. Also, because tiny houses are on wheels, they can function as RVs and move to areas with more liberal zoning codes. A small house, on the other hand, runs from 250 to 1,000 square feet. It's built as a typical house and doesn't have wheels. They reduce the need to fill your space with waste. You can't be a pack rat if you don't have anywhere to put your stuff. They can use sustainable building materials. Some people have built their tiny home with salvaged material collected from dumps, neighbors, or Craigslist; others have purchased homes from companies that use recycled or sustainably-sourced materials. They can be incorporated into subdivisions. Micro-apartments are already popping up in New York, San Francisco, and Chicago. Tiny home subdivisions can be used to revive urban spaces and declining rural communities. They can be fitted for life "off the grid." Some homes have the typical amenities of a "habitable structure," like running water, flushing toilets, and electricity. Others take advantage of outdoor composting toilets, and solar panels for electricity generation. They consume and waste less energy. It doesn't take much to heat or cool a living space the size of a McMansion closet. To build their own custom tiny home, Wesley Birch and his wife looked for leftover building material from Craigslist's free section, second-hand supply stores, and enthusiastic friends. In less than a year, they built a 24-foot home for $8,000! Jim Wilkins founded Tiny Green Cabins in 2008. The company custom builds tiny homes using materials like recycled blue jeans, recycled steel, paints with low volatile organic compounds (VOC), and locally harvested lumber. Their Breathe Easy series avoids using flame retardants, formaldehyde, and other VOCs that are especially harmful to people with chemical sensitivities. Hemp is used to make all kinds of materials: rope, clothing, food, fuel, papers, plastics, and more. This fall, it could be used to build a tiny home! Green Built, a sustainable building company, has set up a Kickstarter campaign to build the HempHome: Tiny+, a small home that uses zero fossil fuels. Green Built plans to construct the Tiny+ using Hempcrete, a non-toxic, concrete-like material made from a mix of hemp, lime, and water. The home will include a green roof with solar panels, efficient mechanical ventilation, and triple-glazed windows to maintain a steady inside temperature. Tiny+ will be built to meet strict green building code standards. At 522 square feet, Green Built's Tiny+ prototype technically fits into the "small home" category, but it's a huge step toward creating an affordable liveable space for green enthusiasts. In August 2013, a "transitional micro-housing" pilot project was created to give 30 homeless individuals and couples a place to live. Opportunity Village Eugene is a self-governed tiny house village that includes 30 to 80 square-foot units, SunJack solar panels, and communal areas for restrooms, kitchens, and laundry facilities. To pay their rent, residents pay $30 a month in utilities and do community service. Saddled with student debt and a teaching job that would make homeownership unlikely, Rowan Kunz decided to go off the grid. She designed and built a completely sustainable home with bamboo flooring, pine board ceilings and walls, a old wood stove, and solar panels. Jeff Hobbs' New Zealand home is also 100% self-sustaining. It's fitted with solar panels, structural insulated panels (SIPs), and a roof system to collect rainwater. With a total cost of $77,000, Hobbs' off-grid home is a luxurious upgrade from Kunz's no-frills tiny home. But it's an example of living simply and sustainably, without having to sacrifice comfort or luxury. These tiny homes are straight out of a storybook. 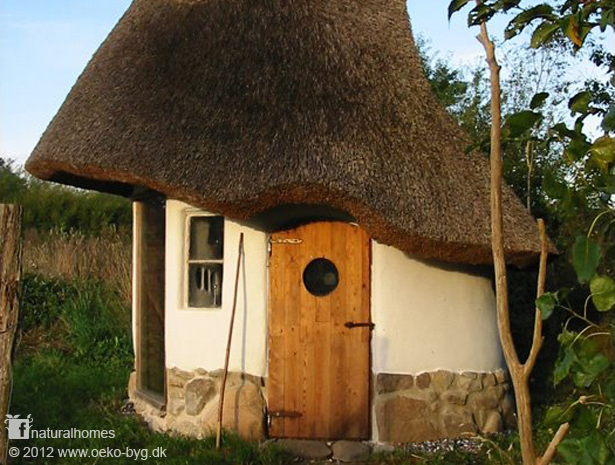 In 2011, Alexander Sumerall started his company, This Cob House, to promote the use of earthen building materials — such as cob, rammed earth, and adobe — into mainstream construction techniques. Because these homes have a wood burning stove and ceiling insulation, they can stay warm in even the harshest climates. Despite the 2008 housing crash, the average American home is still way too big. In 2014, the average single-family home was 2,453 square feet. Not only was that an all-time high for the housing market, it has more than 1,000 times more square footage than a tiny home. Imagine squeezing hundreds of housing units inside your own home! Tiny homes are an expression of minimalism and affordability. Even if they aren't a practical option for the American mainstream, they at least represent a shift away from the wasted space and resources so prevalent in the average US household. You can even build your own tiny home for the ultimate DIY project. Besides, tiny homes don't have to be so impractically small. Even a 1,000 to 1,500 square-foot home is a significant drop in size from a standard American home. Would You Buy A Sustainable Tiny Home? The end-goal of the tiny house movement isn't that we toss out our precious valuables and live a spartan existence. It's that we rethink our relationship with STUFF. Whether you go for a tiny-ish home or just an average-sized one, the point is that you look for ways to use less of everything — space, resources, utilities, and money — to practice a sustainable lifestyle. "Tiny homes are an expression of minimalism and affordability. They represent a shift away from the wasted space and resources so rampant among typical US households." Now more than ever, major companies have a responsibility to preserve the planet.